The Pairs Tankard was fished on both Stemps and Cart following a week of slightly milder weather. As per usual there was a random draw for pairs followed by a draw for the pegs to be fished by each pair. The five best pegs on both lakes were chosen and pairings of the highest rated peg on Stemps and lowest rated on Cart made. This was carried out for the remaining four combinations. Fishing was very slow on this lake with only Colin Bridger having a bite from a carp. 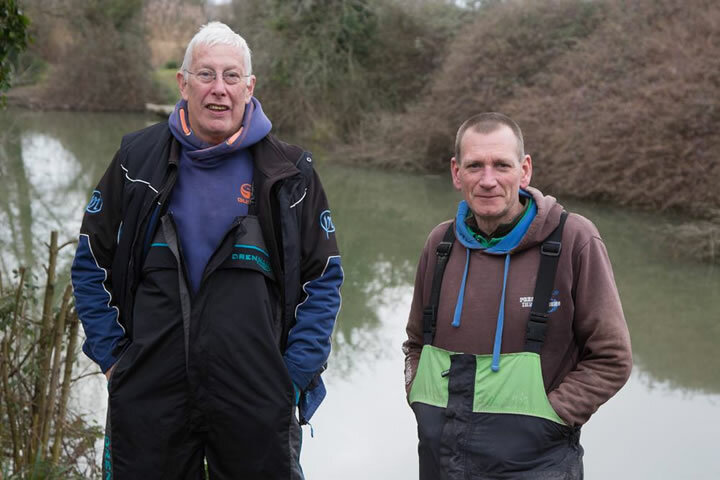 However after three hours the other anglers started to get bites and eventually caught some small roach and skimmers. 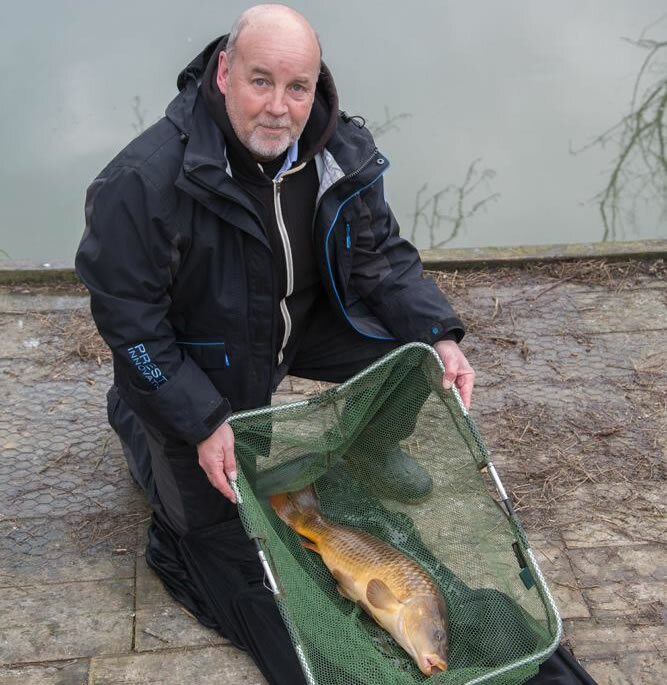 Colin Bridger was fishing Peg 16 and caught two carp weighing 10-11-8 in total with one weighing around nine and a half pounds. He used the long pole and maggot and managed to get the bigger carp out from the sunken trees to the right of his peg. Second place was a tie between Paul Ward and Mick Greenway, both weighing in 2-11-0. Paul was fishing Peg 19 and caught roach and small skimmers on pinkies fished on the long pole. Mick Greenway was fishing Peg 30 and used the long pole to also catch roach and small skimmers. He fished either bread punch over liquidised bread or pinkies over groundbait. Fishing was much quicker than on cart with the anglers catching almost from the start of the match. First place was taken by Keith Hughes fishing Peg 15 he used the long pole to catch 3lb of small roach and skimmers plus 3 carp. These totalled 13-13-0. Keith with three of carp in his haul. He lost at least 3 more. Gary Collins was fishing Peg 1 and used the feeder to catch one carp ( just over 8lb in weight) and some skimmers to total 8-15-0. In third place who caught Steve Simmonds who caught one carp plus roach to weigh in 5-4-0 from Peg 13.